The autofocus of the Fujinon 8-16 mm is silent and very fast – so fast that, in fact, it’s difficult to measure the focusing time as it is comparable to the time reaction of the tester. Even in difficult lighting conditions it never exceeds 0.2 of a second and in the majority of other cases it seems to be even shorter. 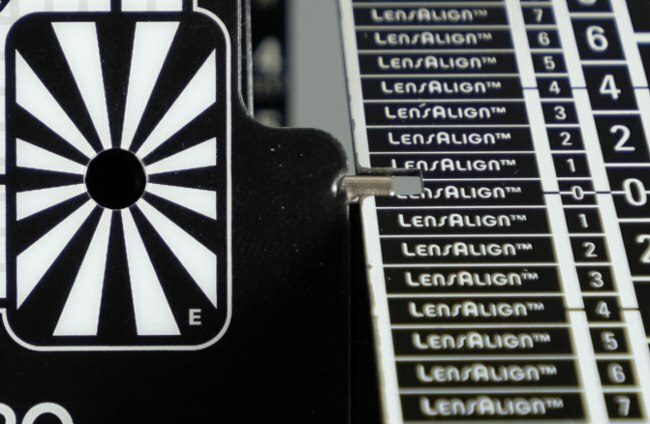 The photo below shows that the tested lens can have a slight tendency to back focus. Still, even if you work in the minimum focusing distance the depth of field encompasses your photographed object anyway. The sharp middle part of the photo and lack of any back-focus problems during real life sessions suggests it’s a very slight problem which might be caused by field curvature.